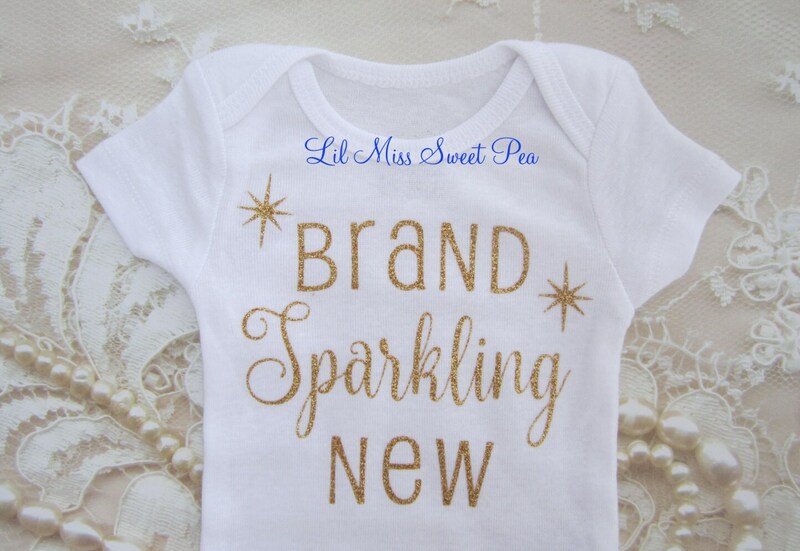 This white newborn hospital baby bodysuit outfit is ready to ship. 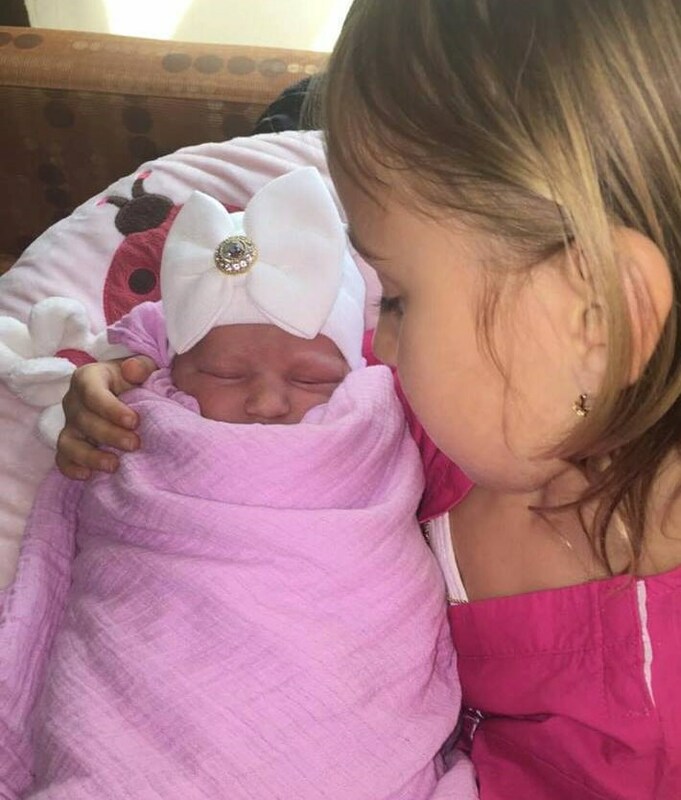 This is modeled by our own new princess, my grand daughter, she is being held our little model, her sister. Can't you feel the love? Perfect for a baby shower gift. Fits 0-3 months only. 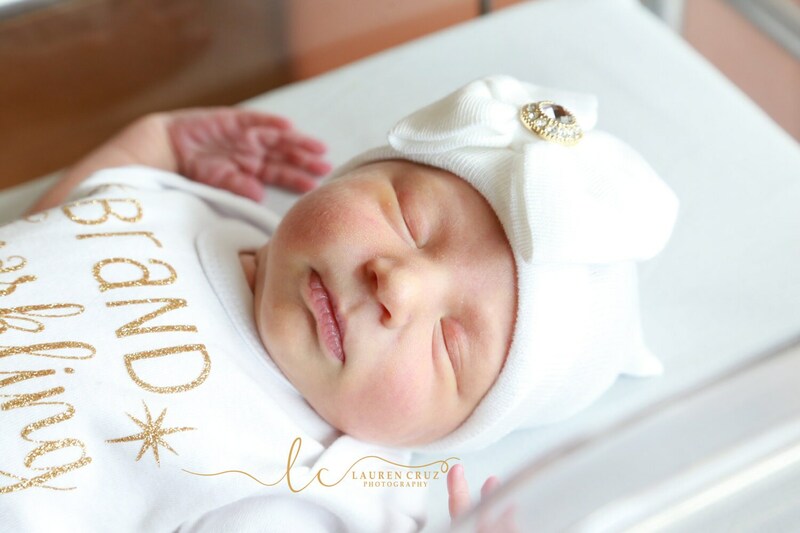 Glitter letters are added to Carter's brand newborn bodysuits. HAT SIZING: 0-3 months only. 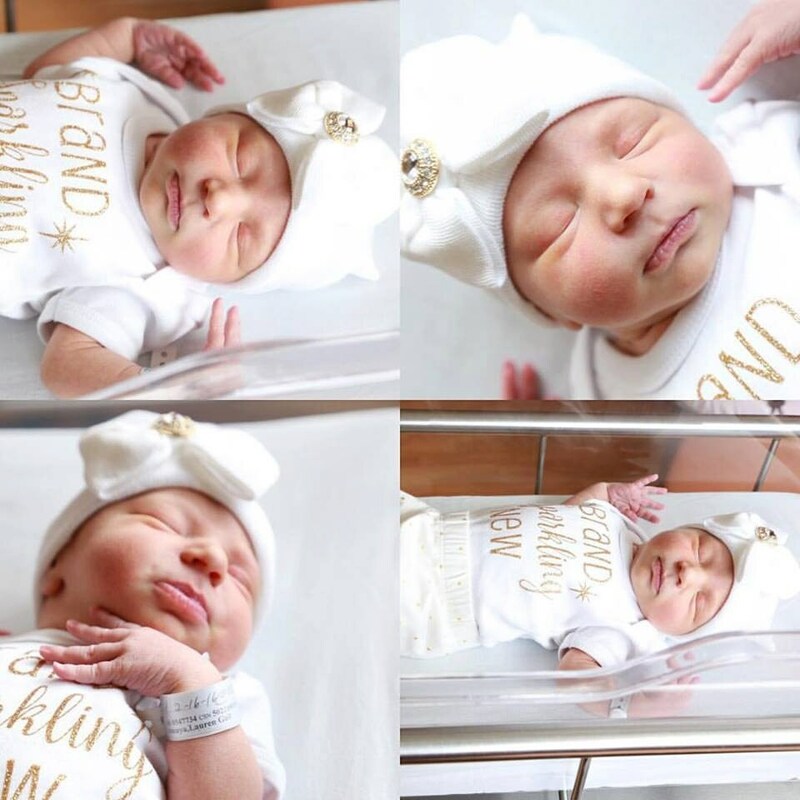 Purchase the bodysuit only, the hat only, or the set of both, choose in the drop down menu.